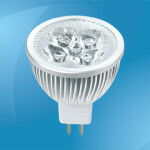 PAR16 LED bulbs are a high quality and more energy efficient replacement for halogen PAR16 bulbs. Due to their directional nature, PAR16 LED bulbs are some of the best applications of the LED technology. These LED lamps often reduce energy and maintenance costs significantly, when compared to traditional halogen light sources. PAR16 LED bulbs are usually available in many spotlight and floodlight styles to suit a wide variety of applications. A PAR16 type lamp is basically 2 inches in diameter, and just like other PAR bulbs, the 16 value corresponds to the diameter of the bulb. These lamps are typically narrower, but a bit longer, usually 1/8 of an inch, than an equivalent halogen PAR16 bulb. They mostly come in a 20° light emitting viewing angle, and normally operate on 80-260V AC current. Generally, PAR16 LED bulbs control light more accurately and produce more concentrated light intensity than the bubs they replace. 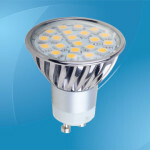 High quality LED PAR16 lamps come with several choices of color temperature, which is measured in Kelvin. These may include 2700K (warm white), 3000K (warm white), 4000K (neutral white), 6000K (cool white), and so on. Most PAR16 LED lamps produce a pleasant white light, which is fairly bright. 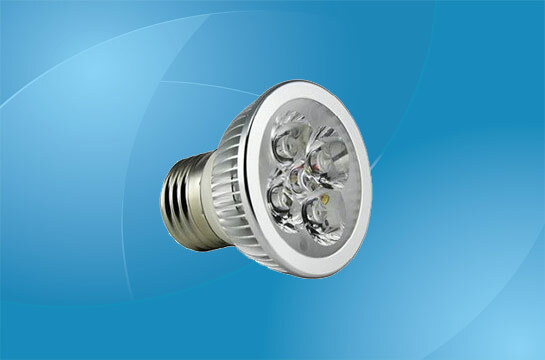 In addition, these LED lamps have no warm-up time, and instead, they have an instant-on characteristic with stable color and maximum light output. In addition, PAR16 LED lamps have an exceptionally long lifespan when compared with the halogen or incandescent counterparts. They typically last 16 times longer than halogen lamps with a 25,000 to 50,000 hour average rated life. They also come in different wattages to suit specific applications. For instance, the 5.5 watt PAR16 LED bulb is suitable for indoor environments while the 10 watt PAR16 is suitable for damp locations and is dimmable down to 10%. Another great aspect is that PAR16 LED lamps can help save up to 90% in energy expenses while combining constant light output with advanced LED technologies. These lamps come with different beam angles and base types, and also different light optimizing designs, generating up to 120 lumens of bright light while consuming only 3.3 Watts of power. And despite the fact that PAR16 lamps use a fraction of the power, they provide the same light output as well as beam profile characteristics. There are many perfect applications for these rugged, long life PAR16 LED bulbs. They can be used in a number of applications in homes or businesses such as small light fixtures, line voltage track lighting, wall washers, recessed downlighting and even display cabinet lighting to name just a few. They are commonly installed in art galleries and museums, hospitals, offices, residential apartments, restaurants and retail stores. The beauty of using PAR16 LEDs is that they are free of IR and UV radiation, reducing fading and discoloration of materials. They are also mercury and lead free making them environmental friendly. However, these LED lamps are not intended for use with exit lights or emergency light fixtures. PAR16 style LED bulbs are probably the latest generation lighting solution. Learning more about this type of PAR lamps will go a long way towards helping you make a worthwhile purchase.